Last week, the National Rifle Association (NRA) cheered the reintroduction of a grab bag of measures related to guns and hunting, with the innocuous-sounding designation of a "Bipartisan Sportsmen's Act of 2015." While a good number of the provisions are benign, and a few even beneficial, there are several loaded grenades in the package that are inimical to the interest of wildlife, conservation, and our public lands. It contains special provisions for trophy hunters and commercial trappers, and, plainly stated, it's Congress at its worst, pandering to special interests and the one percent in order to gain some campaign cash and political support. It's got nothing to do with good governance or the public good. The NRA claims the bill will defend hunting, the implication being that it is somehow under siege. But, of course, traditional fair chase hunting is not under threat – it's widely practiced and permitted in every state in the Union and already allowed on almost every inch of our national forests, Bureau of Land Management holdings, and even the vast majority of National Wildlife Refuges, not to mention all the state and private lands. This bill is really about the NRA's extremist agenda: legalizing the import of threatened species shot abroad, stopping any regulation of toxic ammunition, and creating a presumption that federal lands specifically designated as wilderness areas must be open to trophy hunting and commercial trapping regardless of the impacts on the environment, wildlife, or other land users. The bill reintroduced yesterday contains all the destructive provisions of last year's bill – which was blocked at the end of the year - and some new ones. The bill's most sweeping provision would give trophy hunters and trappers priority access to the more than 100 million acres of pristine wilderness areas across the nation. This provision weakens the landmark Wilderness Act that Congress established a half century ago, to preserve wild areas "where the earth and its community of life are untrammeled by man, where man himself is a visitor who does not remain." S. 405 means that public lands would be "open unless closed" to hunting and fur trapping, regardless of whether they're compatible with other land uses or threatened or endangered species, and closing lands would require a burdensome bureaucratic process. On top of that, the bill would force land managers to prioritize hunting and trapping above other outdoor activities, effectively excluding a large proportion of the American public from enjoying our national spaces, including in designated "wilderness areas." Rather than local control, it would be a federal fiat from Washington that the default is to allow sport hunting and the use of painful and indiscriminate steel-jawed leghold traps. 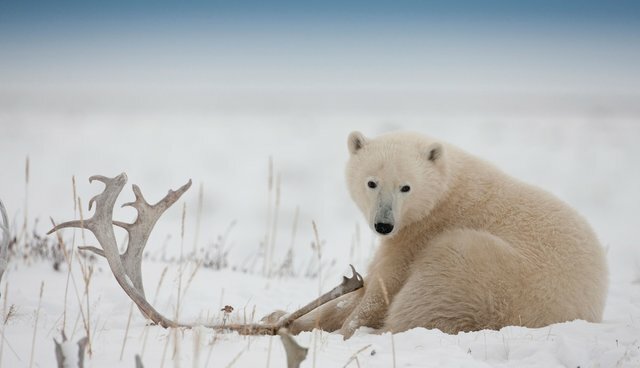 Another provision of the bill would roll back the Marine Mammal Protection Act and provide a sweetheart deal to help 41 wealthy polar bear trophy hunters import the heads of rare polar bears they shot in Canada. It's one thing to shoot a deer and eat the meat, and it's another to fly up to the Arctic Circle, drop $40,000 on a guided trophy hunt, and shoot a threatened species – all for the head and the hide and the bragging rights that go along with it. It's just the latest in a series of these import allowances for polar bear hunters, and it encourages trophy hunters to kill rare species around the world and then wait for a congressional waiver to bring back their trophies. There are other troubling provisions that relate to the use of lead ammunition, at a time, when non-toxic ammunition is available to all hunters, and a murky provision that would make it more difficult to crack down on illegal baiting of waterfowl. Rank and file hunters will gain almost nothing from this legislation. The NRA is counting on this later group to not notice, or to not care, that their rights to enjoy nature are being eroded to help the one percent. Call your Senators today and urge them to oppose this dangerous bill. Congress needs to know that the majority of Americans want to keep critical protections for wildlife and wild lands in place.